The Kromek autonomous drone is the solutions to your radiation mapping and monitoring problems. Minimise the risk and impact of radiation to your team by using autonomous vehicles to map and monitor radioactive sites. An aerial drone or ground rover using Kromek’s gamma spectrometers or neutron detectors gives you fast and accurate measurements of the radioactivity across your site or area of interest. 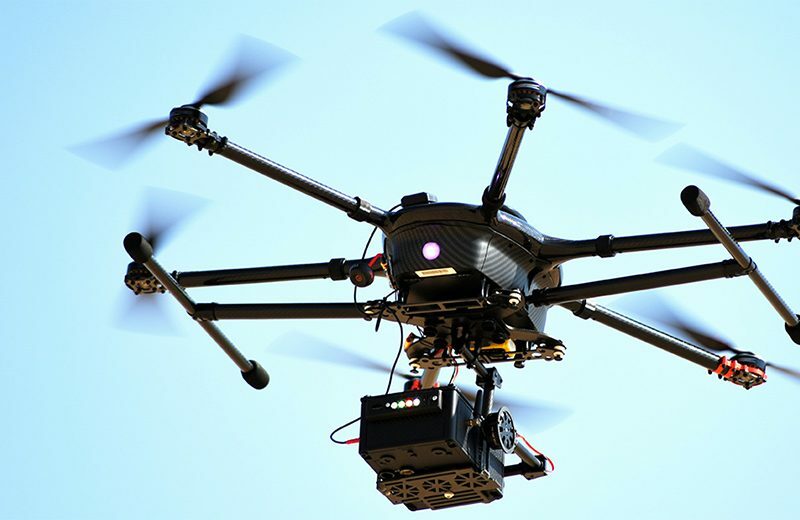 Kromek’s gamma radiation spectrometers and neutron detectors have been used on drones for years, we are now offering a one-stop solution that not only includes the detectors but the drone, mapping software and everything else you need to start radiation mapping and monitoring an area. A UAV can fly in and out of inaccessible site where it may not be safe to send a person. We can offer you flying training to get you up in running as soon as possible. A wheeled rover can drive into areas that a flying drone may not be able to reach. The rover can also carry a heavier payload and is typically fitted with two detectors. Each can be operated manually but can also implement a mission planned ‘waypoint’ survey as long as the UGV is used outside, it uses GPS for positioning. Routine monitoring of nuclear installations throughout the life-cycle from new-build to decommissioning. Monitoring radiation in the oil & gas industry. Environmental monitoring for radiation hazards. Exploring for Rare Earth Elements. Defence and Homeland security operations. No operator shielding of micro-gamma spectrometers. Terrain and hazardous environments independent (over trees, fences, buildings, steep slopes, dangerous ground). 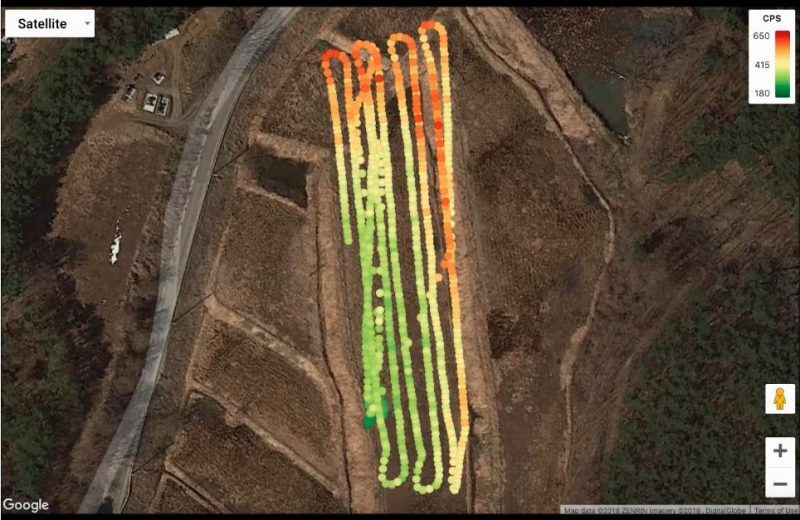 Combination of radiation mapping with aerial imaging and observation. 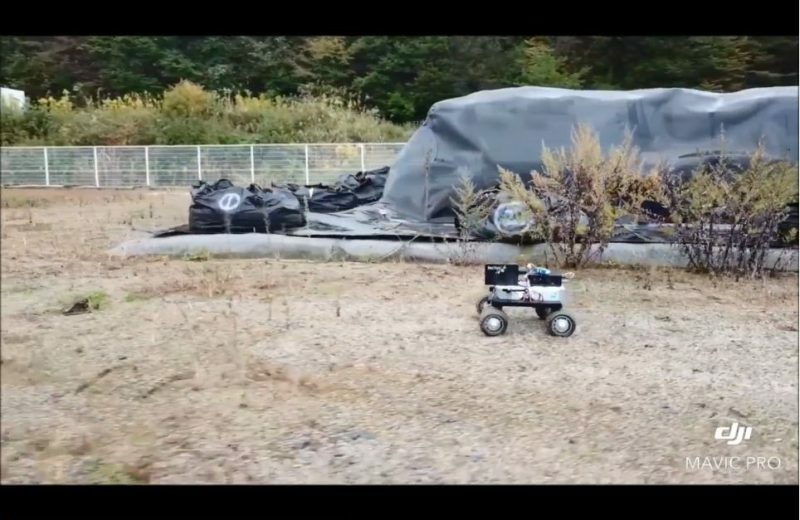 This video shows the AARM radiation mapping system for UAVs being used for radiation monitoring at a nuclear material storage site in Fukushima prefecture Japan. Sometimes a flying drone cannot reach an area that has to be surveyed or you need more time on site than the flying time will allow, in these circumstances you need the Kromek rover. The rover features a heavier payload with two gamma radiation detectors mounted on the body and flexibility to add more if needed. 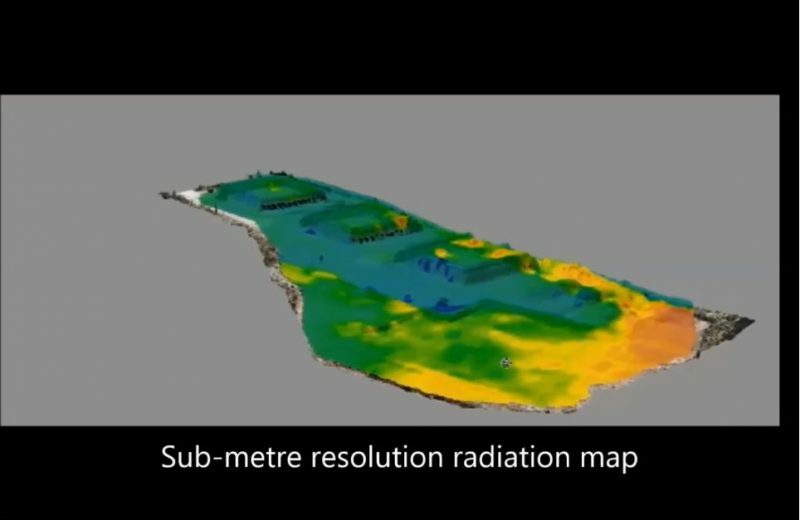 This video shows the 3D radiation map of a site with a photographic overlay and sub-metre resolution radiation overlay.